No Man’s Land is proud to announce the appointment of Karen Leeder as our Editor for poetry translations for the 14th issue (2019). Karen is Professor of Modern German Literature and Fellow and Tutor in German at New College, Oxford, and an active translator of German literature into English. 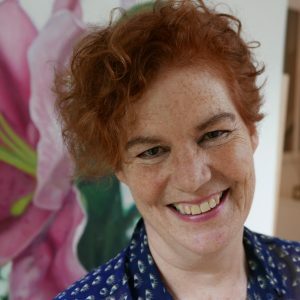 She has translated works of Volker Braun, Michael Krüger, Durs Grünbein, Evelyn Schlag, Raoul Schrott, and Ulrike Almut Sandig, among others, and has been awarded several prizes including the Schlegel Tieck prize, the Stephen Spender prize, a PEN Heim award and the John Frederik Nims Memorial Prize for Translation 2017. Karen heads the Mediating Modern Poetry outreach project (http://mmp.mml.ox.ac.uk/) which takes poetry-related events into new venues in the U.K. Her areas of interest and expertise range from contemporary German culture and the politics of East Germany to Rilke and translation theory.